Fresh off our jungle expedition, it was time to go back to cooler weather and check out the world’s highest world capital, La Paz. 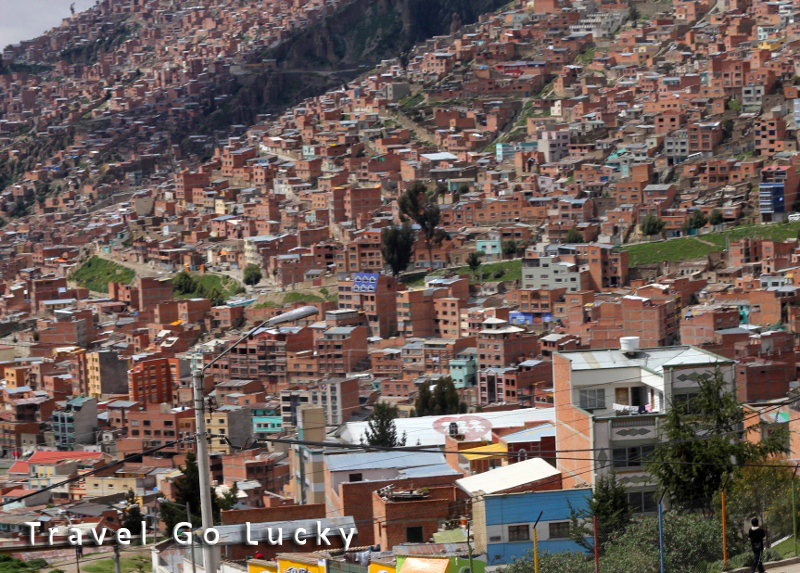 Situated at 12,000 ft, La Paz makes a couple flights of stairs a serious workout. The bus ride into the city was an astonishing sight. Buildings as far as the eye can see were constructed on top of one another along very steep hillsides, making you wonder how architects and engineers even made this possible. 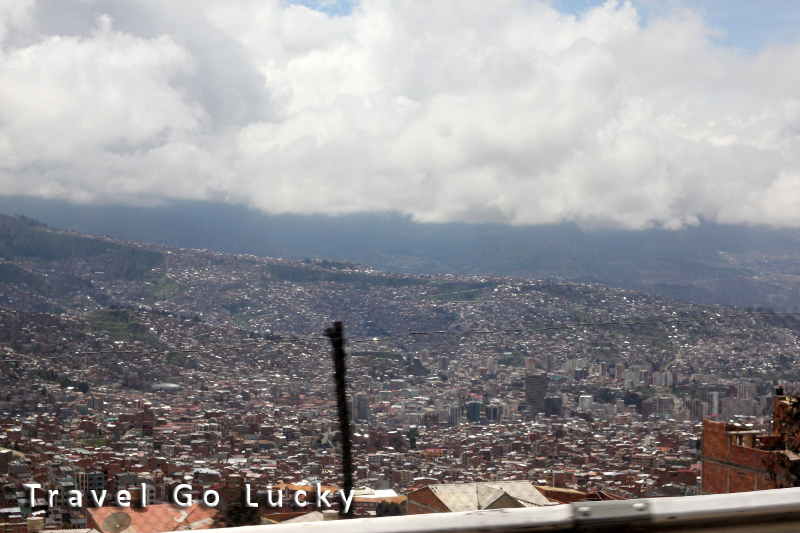 These pictures don't do La Paz justice, but at least you get an idea of what it looks like. Once we were settled, the city itself was fun to explore, and especially people watch. 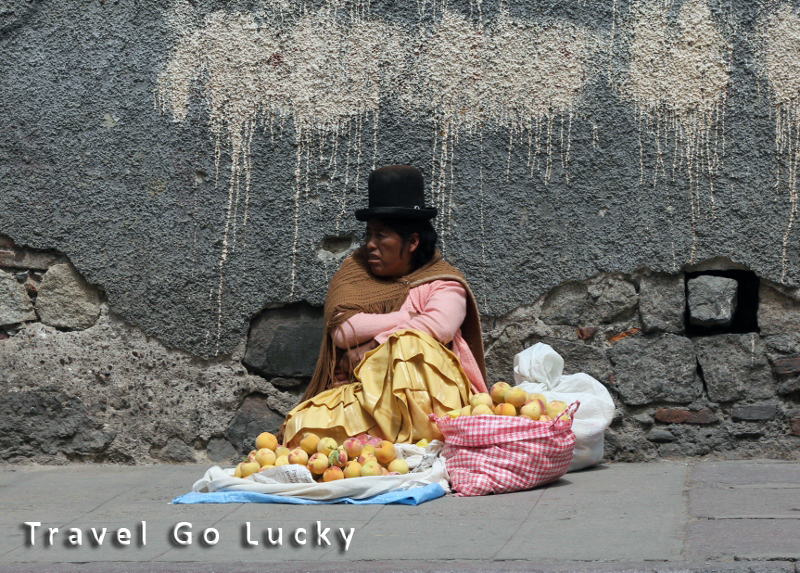 The women of Bolivia in their bowler hats are always such a unique sight that we never got sick of seeing them. When the clouds would threaten rain, they would wrap them in plastic bags which was pretty funny. Unfortunately, the weather didn’t want to cooperate with us in La Paz and it rained almost the entire time we were here. It had been raining so bad that some parts of the city experienced some terrible landslides, killing dozens of people. 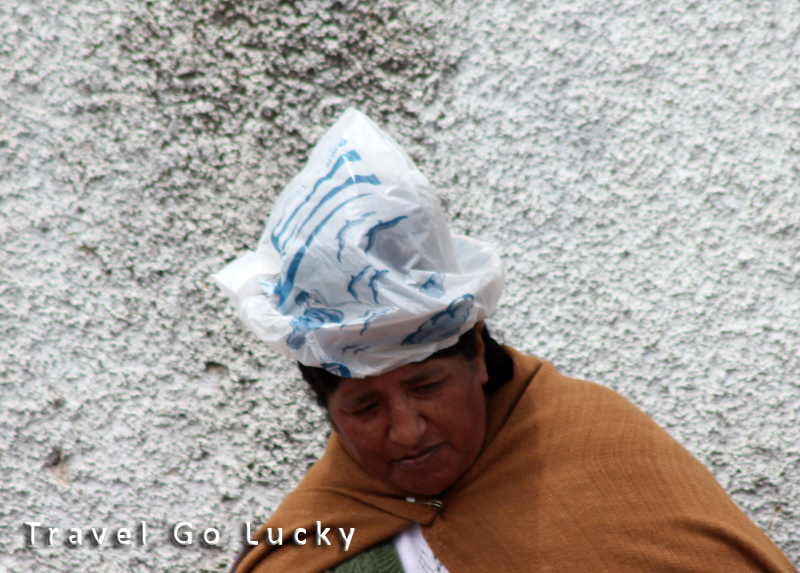 Because of the bad weather, we had to cut our journey to La Paz short for a day or two and move on towards Peru. 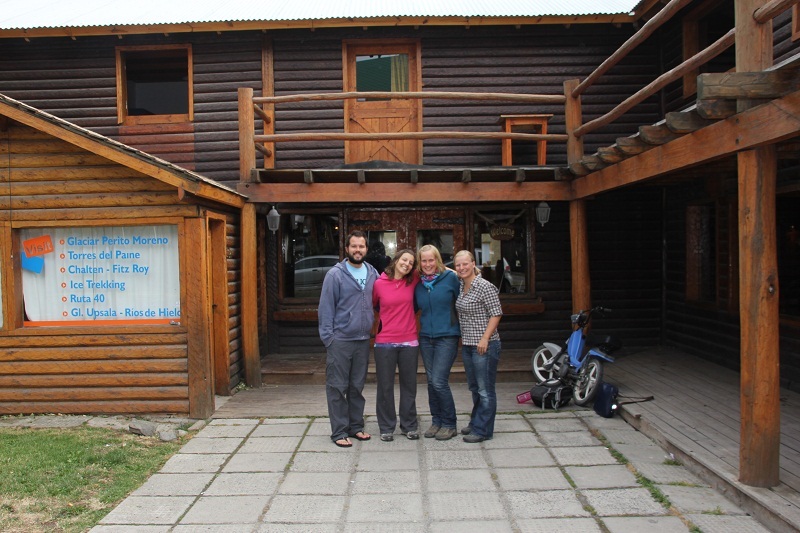 This post also marks our official South American farewell to our friends Anu and Tuula (aka Team Finland). They were on a tighter schedule getting to Peru and had already visited La Paz a few weeks ago. We had an amazing time travelling with them through Argentina, Antarctica, southern Chile, and Bolivia, and they will certainly be missed by us for the rest of the journey. We hope to visit them in Finland sometime in the future. See you later, Anu and Tuula! We'll miss you guys! This entry was posted in Bolivia and tagged Bolivia, La Paz, RTW Travel, South America, Travel. Bookmark the permalink.